Benjamin Franklin once said that “by failing to prepare, you are preparing to fail.” So make sure your marketing has a clear strategy before getting started. But he also believed “well done is better than well said.” So make sure you get started! Too many marketers launch campaigns without fully planning out the strategy behind their marketing initiatives. On the flip side, many marketers spend so much time developing detailed marketing strategies and then fail to devote the time to seeing these plans succeed. As a marketing manager or VP of Marketing, your focus should be pretty evenly split between marketing strategy and content creation. A 50/50 split between marketing strategy and execution can make sure you are getting great content in front of as many people as possible. Succeeding at this balance and delivering consistent, quality content to your audience is the key to seeing your digital marketing deliver a positive ROI. According to Content Marketing Institute, 73% of top performing manufacturing marketers deliver content consistently, compared to only 45% on average. Creating a roadmap for your marketing for the quarter, year and beyond is critical for meeting your content marketing goals. It can also give you a major competitive advantage. This year, only 19% of manufacturing marketers have a documented marketing strategy. What are your marketing goals for the next year? Are you looking to increase leads, website traffic or brand awareness? Make sure you set very specific, measurable and realistic goals for your marketing initiatives. For example; increasing your inbound leads by 20% in the next year could be a good goal. Your audience should be the biggest determinant of how you’ll achieve your specific goals. Make sure all marketing initiatives you plan to leverage are focused on your ideal customer. Create buyer personas and clearly outline what the buyer’s journey looks like for them. Then make sure you are engaging them and creating content tailored to their main concerns at every stage of that journey. To help determine what will work best over the next year, look back at your analytics for what has – and hasn’t – worked in the past. Focus on the marketing channels and tactics that delivered a clear ROI for you last year and remove the strategies that didn’t move the needle. If digital marketing is new to your business and you don’t have reliable metrics to draw on, look at industry standards and competitors to determine which marketing strategies are most likely to succeed for you. Once you know which marketing strategies and goals you want to focus on, choose how to distribute your marketing budget across your various channels. This is where you can get specific about how many blogs you’ll create, how active you’ll be on specific social media networks, how many emails you’ll send, and how you’ll devote your additional resources. While your marketing strategy should look forward over the next year, that doesn’t necessarily mean this should be an annual process. Review your marketing strategy quarterly to make revisions based on how things are looking or new information or opportunities you’ve received. Your marketing strategy should be constantly referenced and refreshed throughout the year. When asked what the biggest content challenge for their business was, only 10.4% said content strategy. The most common response, with 27%, was the production of content. As a manager, you may believe strategy is where your biggest contribution should be. However, there is a number of things you need to do to make sure that strategy has the best chance of success. Editorial Calendar: If your content strategy determined you will write 3 blogs per week, you need content ideas for those blogs. Create a content calendar with specific content topics and the major timelines for delivery. This includes blog titles, social media posts, larger eBook concepts and more. Set due dates for early drafts, revisions, graphic design work, posting, promotion, etc. Project Timelines: For inbound marketing, marketing automation campaigns and other projects that will take weeks or months, make sure you clearly budget out the time necessary to complete them. This will also require numerous milestones to keep everyone on track. Fulfilling Content Creation Needs: One of the biggest things that derails content creation is a lack of time and resources. Determine who is in charge of which deliverables as early as possible and make sure your team has a manageable workload. If your internal team lacks the skills or the bandwidth necessary to complete a project, look to outsource to a marketing agency that specializes in the content or inbound marketing project you’re planning. Marketing and Project Management Solutions: In order to keep all of your projects, content and people organized, marketing and project management solutions are an absolute must. Inbound marketing solutions like HubSpot can help you create an editorial calendar and manage content creation, publishing and promoting. Project management solutions like Asana or Trello can help you assign tasks and manage deadlines for all the parts of your content creation process. Content marketing strategy and content creation are both extremely important parts of seeing your marketing succeed. Make sure you devote the time necessary to both and you’ll ensure you aren’t wasting time on either. Do you need help coming up with a marketing strategy for your business? 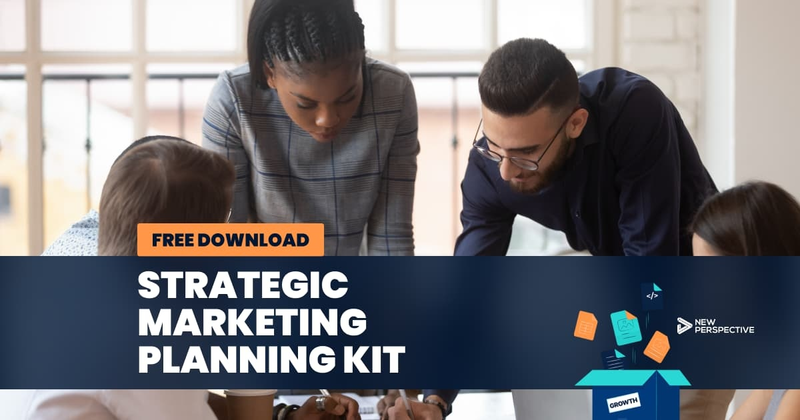 Download your free strategic marketing planning kit to get started; it includes everything you need to build a strategy designed for your company and your customers.